What have we learned about bioengineering and its potential to increase infrastructure resilience to the impacts of climate change? From the 4th to the 6th of October, ICEM – International Centre for Environmental Management, together with Asian Development Bank (ADB), Ministry of Agricultural and Rural Development (MARD) and United Nations Development Program (UNDP), hosted a workshop to review the results of four bioengineering demonstration sites, summarize the lessons learned, and discuss the way forward. Attracting participation from a wide range of national and international organizations, the workshop is the latest training activity of the ADB project Promoting Climate Resilience in Rural Infrastructure in Northern Vietnam, following two earlier workshops on bioengineering design and construction for riverbank and roadside slopes. The project aims to demonstrate low cost, easily implementable measures to reduce the vulnerability of rural infrastructure to extreme climate events. The workshop reviewed the effectiveness of the project demonstrations from technical, social and economic points of view, discussed institutional aspects, and considered the next steps to replicate bioengineering techniques in future projects and to help government agencies take up bioengineering. 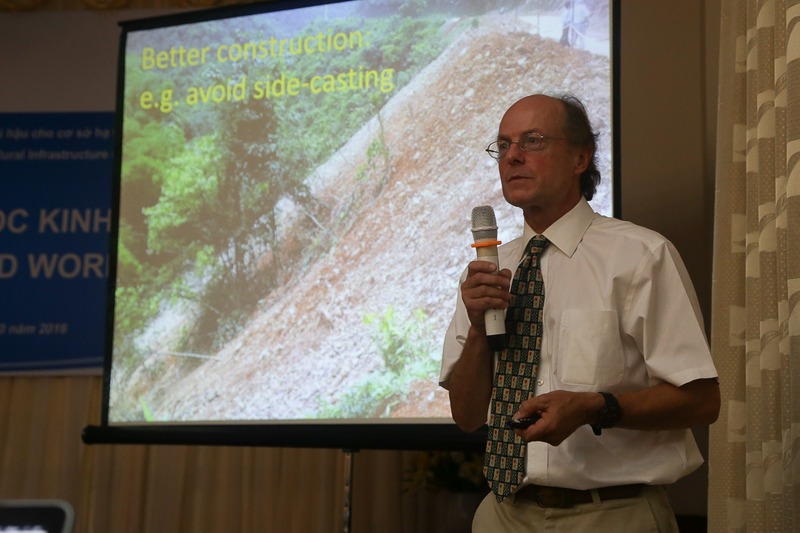 During the workshop, ICEM technical team walked participants through updates of the four demonstration sites and the technical performance of different bioengineering techniques – how well the techniques actually work in protecting the slopes. 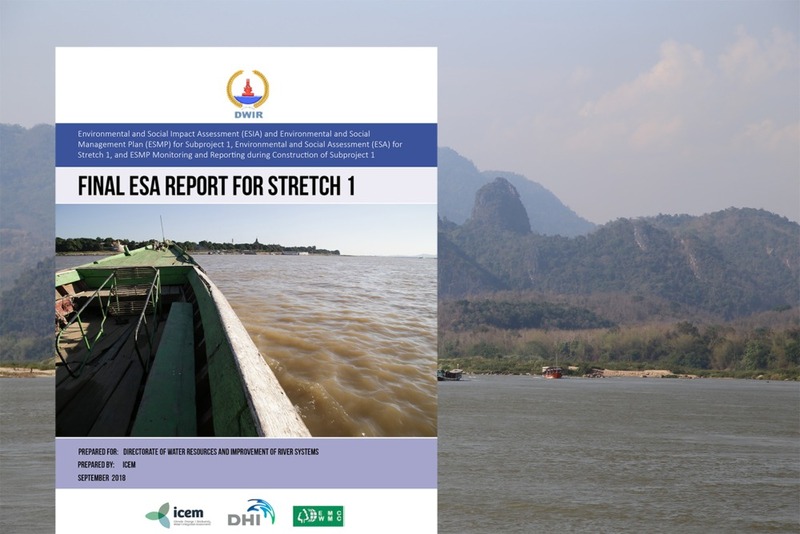 After two monsoon seasons with several big floods, the two riverbank sites in Son La and Bac Kan remained stable with minimal to no erosion. Plants have survived the floods and continue to grow well. 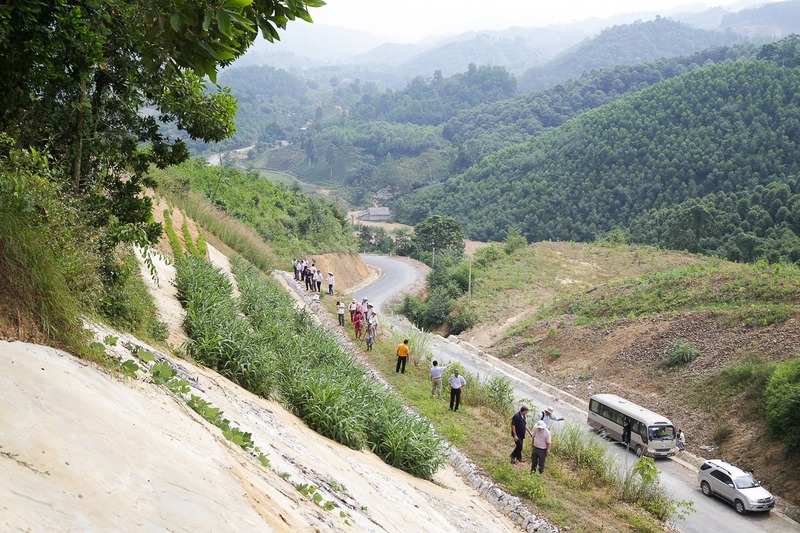 Construction works at the roadside slope site in Thai Nguyen was completed in July while the contractor is finishing the work at the roadside slope in Son La. Early evaluation showed that the plants in Thai Nguyen were growing quickly, covering most of the ground surfaces. The workshop also presented the social impacts of the project, how community members think about the sites and what their recommendations are, and how the cost of bioengineering compares to conventional measures. 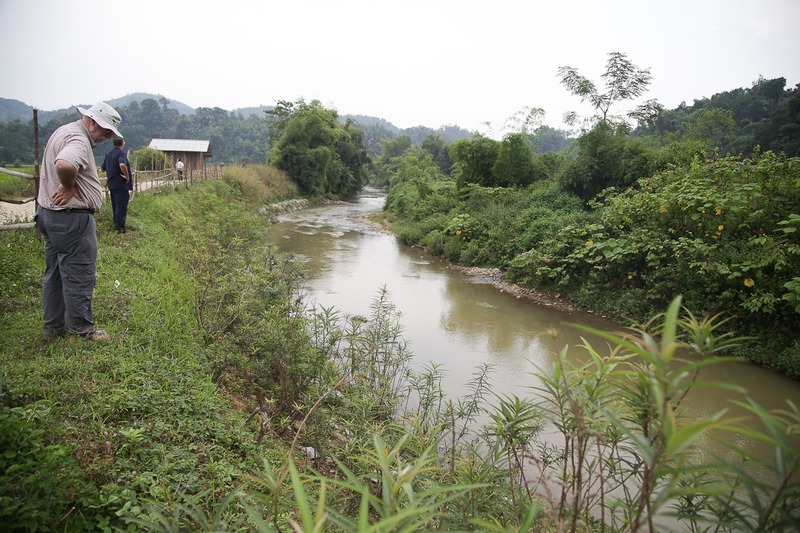 “One year after the construction has been completed, the bioengineering site protecting the riverbank in Thom Mon Commune has been very effective. The local residents are very supportive of the project. The maintenance of the site is cheaper and easier than that of conventional measures; they can use their own labour to rebuild and maintain the bioengineering techniques,” said Mr Luong Van Dinh, Vice President of People’s Committee of Thom Mon Commune, Son La Province. 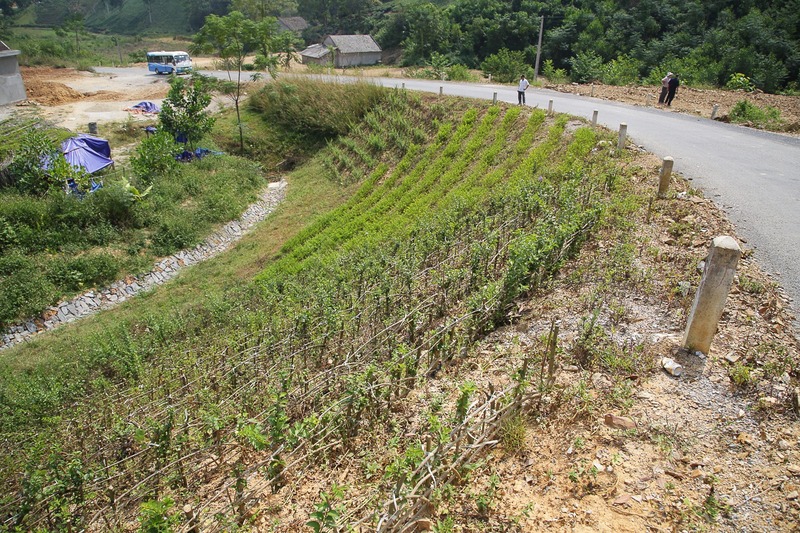 The group also spent a day travelling to two demonstration sites – one roadside slope site in Thai Nguyen and one riverbank site in Bac Kan – to inspect how the techniques performed over time, how the plants developed, to compare a bioengineering site with a conventional site, and to discuss the project with the local community members. Returning from the field visits, the participants raised many interesting opinions on how to apply bioengineering in future engineering projects in Vietnam. Many pointed out the necessity of institutionalizing and mainstreaming bioengineering into policies and developing bioengineering construction standards and norms to make replication and application of bioengineering feasible in the future. It was suggested that this will require coordinated efforts from the involved ministries and provincial departments. Participants also suggested integrating bioengineering into some of the current rural development programs to deal with potential funding problems. In addition, participants highly appreciated ICEM’s idea to develop a bioengineering construction manual to transfer the technology to the communes and government agencies. 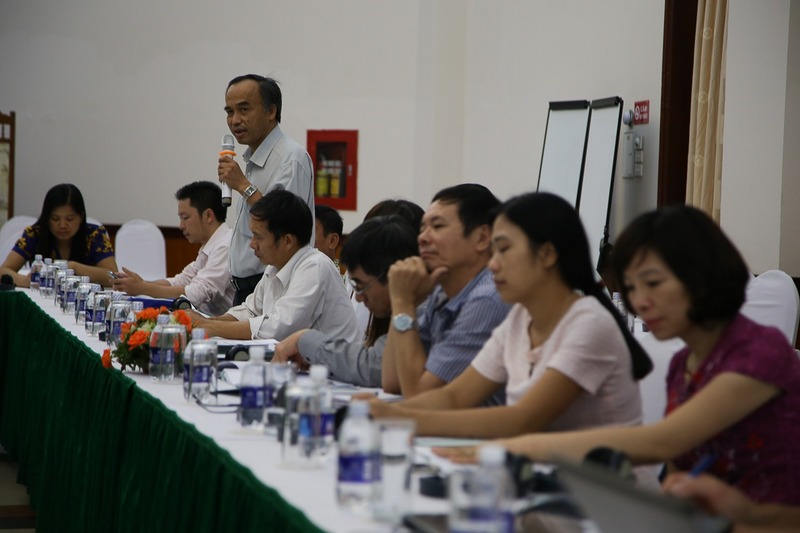 “The results so far are quite positive, especially the site in Bac Kan.,” said Mr. Hoang Tuan, former Deputy Director for the Department of Construction Management. “The technical and social effectiveness are very clear.” He added that the development of construction standards and norms for bioengineering will need the involvement of different government agencies. MARD, specifically the Directorate of Water Resources, has to pay close attention to the riverbank sites to build the standards and norms for riverbank in the future, while Ministry of Transportation will take the responsibility to develop ones for road infrastructure. “The two ministries need to cooperate and organize workshops to do research on this,” he said. 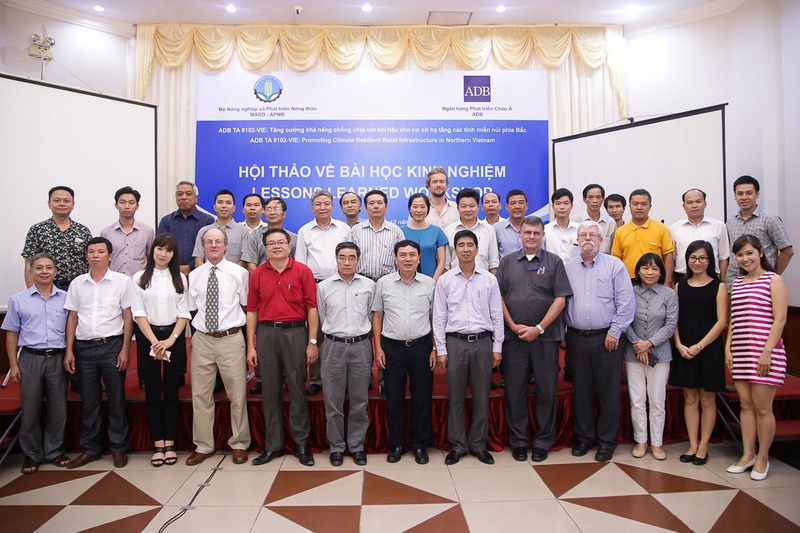 “Bringing it (bioengineering) into the thinking of people at all levels of the investment and infrastructure management cycle is important,” said Mr. David Salter, ADB Senior Natural Resources and Agriculture Specialist.